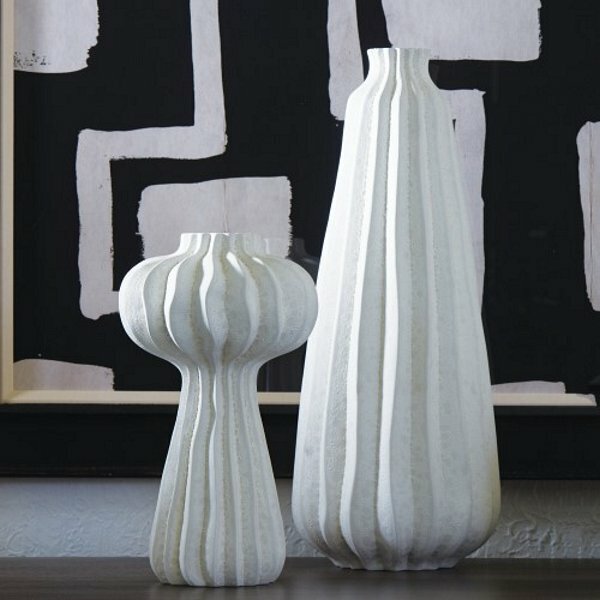 Studio A 7.10239 - Light-catching crisp, irregular ridges accentuate the three organic shapes of the Lithos collection. The original pieces used for making the molds were hand crafted by Portuguese artisans. Portuguese ceramic. Shown as a set, but sold separately.